In athletic competitions, an athlete's biggest advantage often comes from his or her gear. 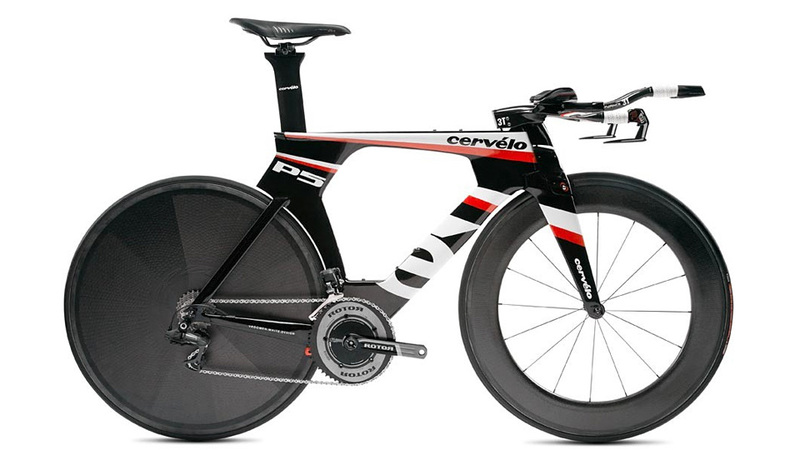 So if you're a cyclist after a first-place finish, Cervélo's P5 triathlon/time trial bike has been designed and engineered to be the most aerodynamic ride on two wheels. To ensure the bike slips through the air with as minimal resistance as possible, Cervélo has gone to great lengths to minimise drag by hiding every single wire and cable inside the P5's curvaceous frame and using unique surface finishes on different parts of the bike to optimise airflow. Since the P5 is designed for longer competition rides, there's even streamlined spots for stashing water bottles and snacks.